Weekends are Friday 6:00 – 9:00pm, Saturdays are 9:00am – 6:00pm, and Sundays are from 11:00am – 6:00pm. The Ayurveda and Yoga Institute is an educational center devoted to providing accessible, outcome-driven education via trainings and one-on-one programming for high-performance, success, inspiration, joy, and health. Our life-changing programs are accredited through the Yoga Alliance and National Ayurvedic Medical Association, and are instructed by faculty comprised of leaders in the fields of Ayurveda, Yoga, Meditation, and Healing. with that your peace, joy and love. Our purpose is to support YOU with a curriculum that focuses on more than just the asana poses but dives into the meaning behind the practice and how it can improve your life. If you’re looking to transform your life, and love sharing your passion with your friends, family and community, Yoga College is for YOU. Discussion of yoga asana for special populations including beginners and common injuries. Learn pranayama (breath-work) techniques to purify, clarify, and strengthen yourself and others. Experience and share deep relaxation through Yoga Nidras and restorative yoga. Cultivate a lifelong meditation practice through personalized guidance, support, and encouragement. Learn how to craft life-transforming classes through sequencing, theming, clear instruction, demonstration, and more. Establish teacher’s empathy – the ability to know what every student needs regardless of his/her age, gender, experience, limitations, and desires. Develop your unique teaching voice and style through plenty of support, experimentation, practice, friendly constructive feedback, and one-on-one dialogues with The Ayurveda and Yoga Institute’s lead instructor Get a head start on your yoga teaching career through the business and ethics of yoga. practiced healthcare system in the world. Your Mind-Body Constitution: The Blueprint of YOU. Ayurvedic Psychology: Principles of Radical Positivity. Subtle Essences: Total body transformation to the cellular level. Diagnostic Tools: Understand how to profoundly know, inspire, and address yourself and each of your future students. Wisdom Through Practical Philosophy Dive into the eternal teachings of the masters via texts like the Yoga Sutras. Understand that you are part of a 5000+ year old lineage of practitioners through the history of yoga. Explore Subtle Anatomy: the realm of your chakras (centers of spiritual power) and inner energy. Experience the life-transforming effects of adopting a yogic lifestyle and mindset. Connect with new friends, and create a lifelong support system. Be heard and understood in a safe, supportive, and nurturing environment. Payments are automatically charged on the 1st and 15th of the month (September 15 to December 1). The AYI Yoga College program is an approved 200-Hour Yoga Teacher Training Program through the Yoga Alliance. 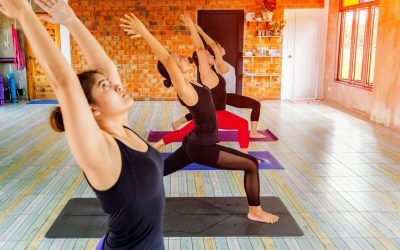 While we’ve found that students tend to be ready to lead top-notch classes upon graduation, we maintain the right to withhold certifications until the standards set forth by the Yoga Alliance are met. We want every trainee to be magnificently successful and will continue working with trainees until certified (note that we have never had to withhold a certification). certification (in our two years of running this program, we have never withheld a certification). What style of yoga is The Ayurveda and Yoga Institute’s Yoga College? The most successful, inspirational, skilled, and loved yoga instructors’ teachings are extensions of their personalities. For that reason, we provide the setting, time, practice, education, feedback, and encouragement for you to cultivate YOUR unique style! What if I can’t do all the poses? Will I be able to complete the program if I have an injury or special condition? teaching tool to your classmates. Yoga College is open to any student aged sixteen or older. Younger students will be considered on an individual basis.